The Connect Wallet's innovative folio design combines a hard shell with a removable outer wallet. Need a little more space from a wallet case, but don’t always want to be weighed down by bulk? 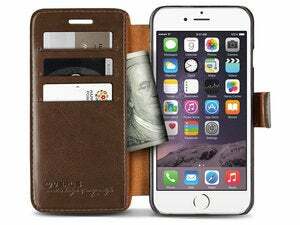 The flexibility of the Nite Ize Connect Wallet (iPhone 6 and 6s; $40 from Nite Ize) is perfect if you want the option of carrying cards and cash, but also sometimes ditching them, too. 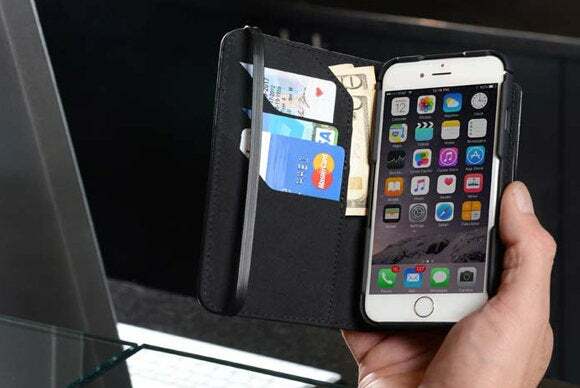 The Connect Wallet’s design combines a hard shell with a removable outer wallet. The latter includes three slots for your credit cards and photo IDs, and two bigger sections for other essentials. 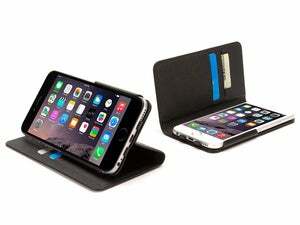 This case is simple to install, thanks to a convenient flap that pops out at the top of the shell. It allows you to slide your phone in without accidentally activating your power or volume buttons. The hard shell is a case on its own that can be quickly separated from the outer wallet and used either standalone or, if you prefer to anchor it to your pocket or belt, together with the included holster clip. We did find that it’s a little too easy to hook the case into the clip incorrectly, causing the phone to fall off if you’re not careful. Thanks to its variety of compartments, the Connect Wallet features lots of room for credit cards, some cash, and maybe a couple of business cards. However, it can be quite difficult to quickly pull out anything stored in the middle card slot—a frustrating experience if you’re in a rush or if you’re caught out at a gas pump on a cold day. While the case is very convenient during everyday use, we do have a couple of complaints: The rigid fabric band that secures its cover tends to slip off a little too easily, especially when you place your device inside a car mount—we would have preferred an elastic closure, which in our experience tends to offer a bit more safety. 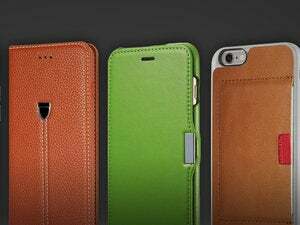 The hard shell also features an extremely prominent rim, which makes it a little difficult to use your iPhone’s buttons. However, that same lip does provide protection against side and corner drops. Overall, the Connect Wallet represents a good balance between functionality and flexibility of use. It also provides great value: Since its two-piece construction lets you shed the wallet portion when you don't need it, you essentially get two cases for the price of one. If you need more than just a credit card slot or two, it’s definitely worth consideration. The Nite Ize Connect Wallet case is a good mix of functionality and value.